Now that I have bravely stepped into the Beauty world and started experimenting with Lip colours ,Eye shadows (something I never though I would ever use in my life ) . I also ventured to try out blushes with a trembling heart and even more trembling fingers . 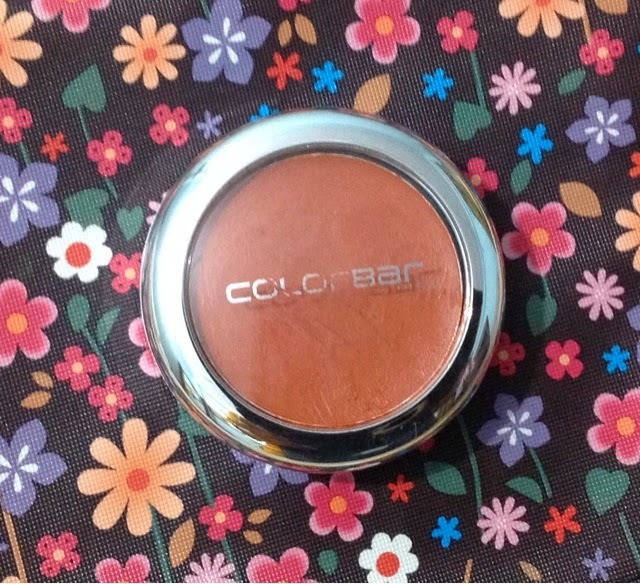 Since Colorbar is a brand I trust blindly and since their counters and kiosks are always so alluringly lit up and decked out in their best and most brightest of colours , I could not resist their charm and acquired my first blush . And what a cheeky name--Kiss Me Baby !!! I have worn out the print ,that is how frequently I have been using it ! Price- Rs 650 for 4 gms .I think this particular range has now been relaunched by colorbar with better textures and more popular colours . You can look for the shades of colorbar available at Myntra,Koovs,jabong,Flipcart etc. Presentation--It comes in a round pot with a transparent cover .It has dual chambers ,one for the blush and another for the applicator sponge and mirror .A sponge half moon applicator and a mirror is provided under the blush in a very sleep packaging .You can easily see the colour and amount of the product from above . 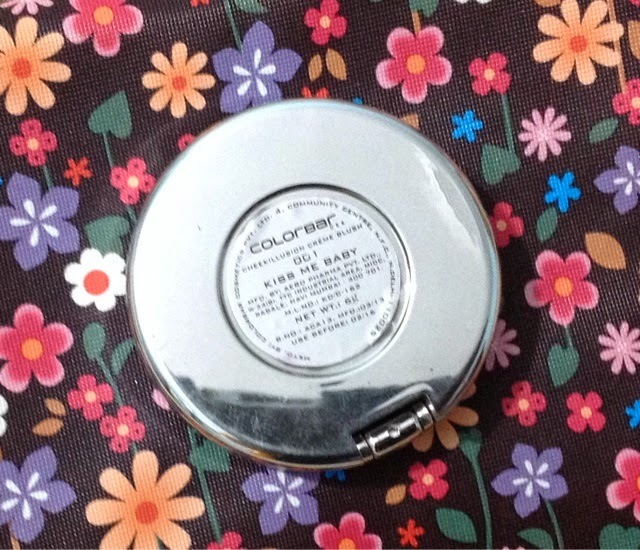 This luminous and silky blush gives a natural looking radiance to your skin. It is lightweight with excellent blending power and velvety touch. Silicones in the product provide smooth finish and long lasting effect. And It is dermatologically tested . 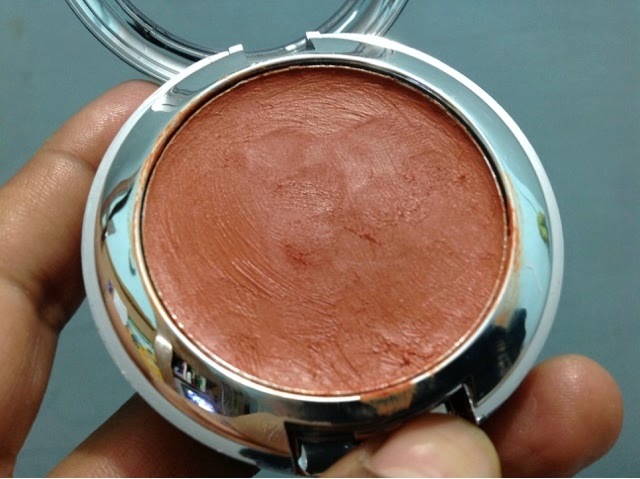 It is a creamy textured terracotta blush .Spreads beautifully . The colour is build able , so you can start by dotting lightly along the apples of the cheek and then build it up after blending .I use my fingertips to do this . I also use it to contour my nose sometimes ! 1.Good quantity for the price . 3.Easy to build up , very less chance of going over the top . 4.Will suit most dusky and earthy complexions . 5.Great for neutral make up looks . 6.Great range of colours for all complexions . 1. 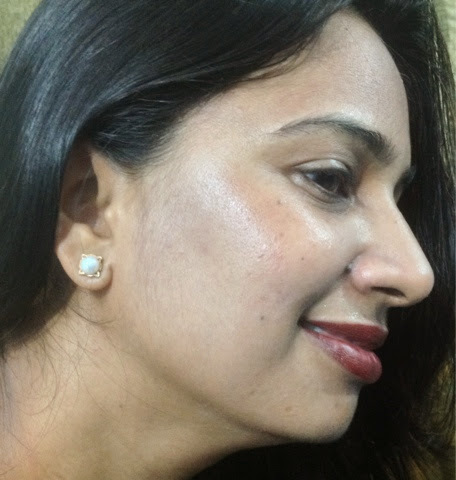 Creme blush , so gets oily in summers especially in humid climates . Final verdict ---It gives a beautiful wash of warm colour to my face .As you can see on my cheekbones It also helps in highlighting the cheeks bones .The only drawback is that since it is creamy ,the face looks slightly oily after some time . All in all worth buying again and again . I will give it a 5/5 rating !!! Has anyone tried the new Bourjois rouge edition Velvet Lipsticks yet ?? 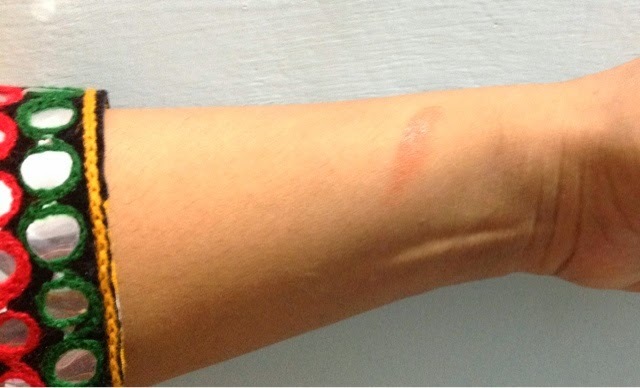 Thanks Simran .It is def a very decent product .